USANA, word! : John Amundsen, We Will Always Remember You! A man who was known by just a few................but known by many by what he did. 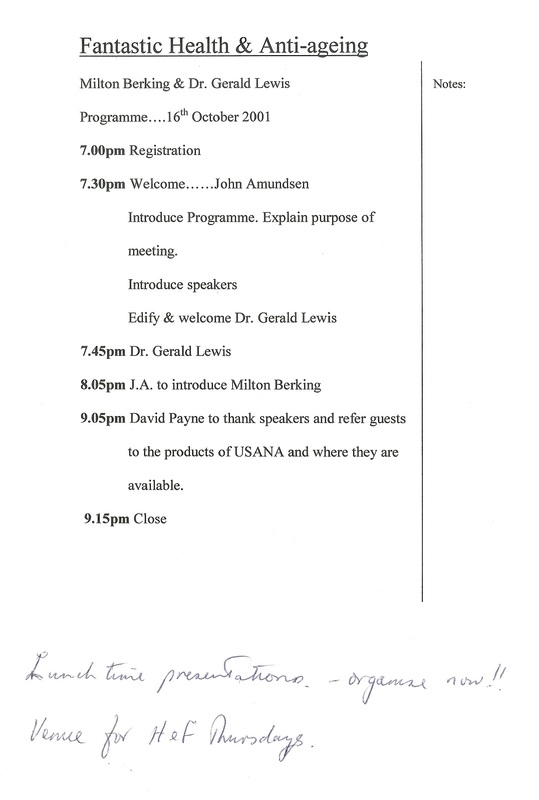 You see the first person to conceive the idea of regular health talks by the Doctor(s) in USANA in New Zealand was John Amundsen. He and David Payne were talking one day and he suggested we hold monthly Health talks using the wonderful Salus Health facilities built by the Doctors Lewis and other parties in Auckland. 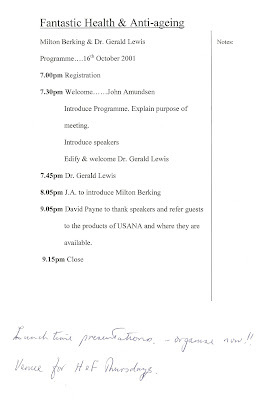 Then to engage USANA Associate Milton Berking and Dr. Gerald Lewis to speak. So that is exactly what we did. We still have the original promotional poster for the first of these events in 2001! This event was held in a room that was capable of holding about 50 people comfortably. Almost instantly we had 100 people packing into the room with standing room only. Talk about a successful idea come to fruition. John was always there helping set up any events the team was putting on. He was actively involved with the “Movin' on Up” events largely behind the scenes. I think there are many, many John Amundsens within USANA. People whose greatest activity is using the products and telling other people about their experiences. As a jogger and a heart surgery success story, John was always looking to manage his Cholesterol levels and his general fitness. A fan of the products in general his favourites were the Essentials and Optomega, the vegetable oil version of the Biomega capsules of today. 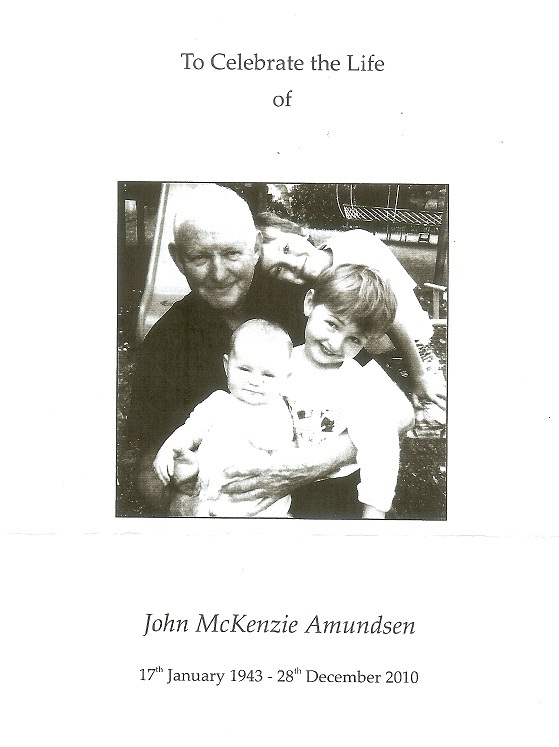 John worked for many years in the Insurance industry. He has two daughters who both have children of their own. He had a passion for things Scottish including membership of the Auckland Highland Pipe Band and was a member of The Greater Banded Wyandotte Soc.of NZ, a fun group. While never a superstar in the normal sense, John was a change-maker through his original idea of health talks which Dr. Monica and Gerald Lewis have taken to even greater heights now ten years later. What a fine legacy to have left us all."